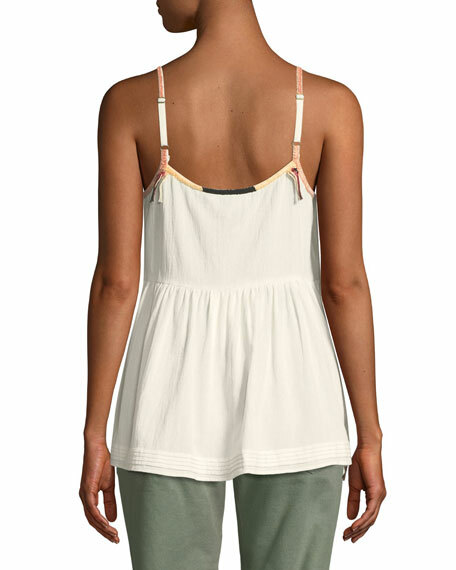 The Great "The Adobe" camisole with topstitch piping. Accomplished and well-versed designers Emily Current and Meritt Elliott (co-founders of Current/Elliott denim line) have embarked on their next journey with creating The Great. Focusing on American classics, The Great puts a playful spin on everyday items including tops, dresses, outerwear, and denim. 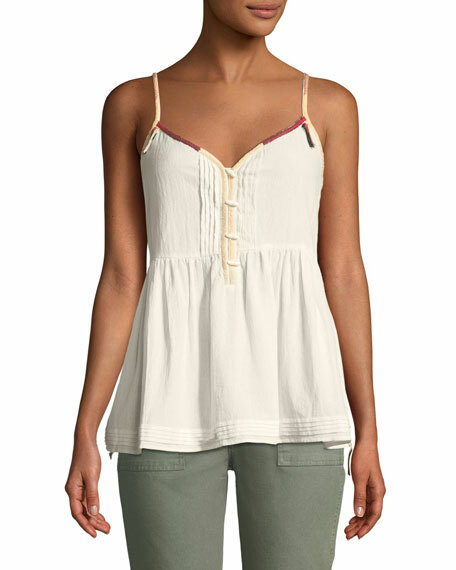 For in-store inquiries, use sku #2537844.